The Super Tee's story starting this weekend! Wadda you mean, "It don't run"??? Is it any different to an opposed twin mounted with the shaft vertically rather than horizontally? Yes. The cat is in the bag Admiral........but I must let him outta the bag to feed the forum soon! 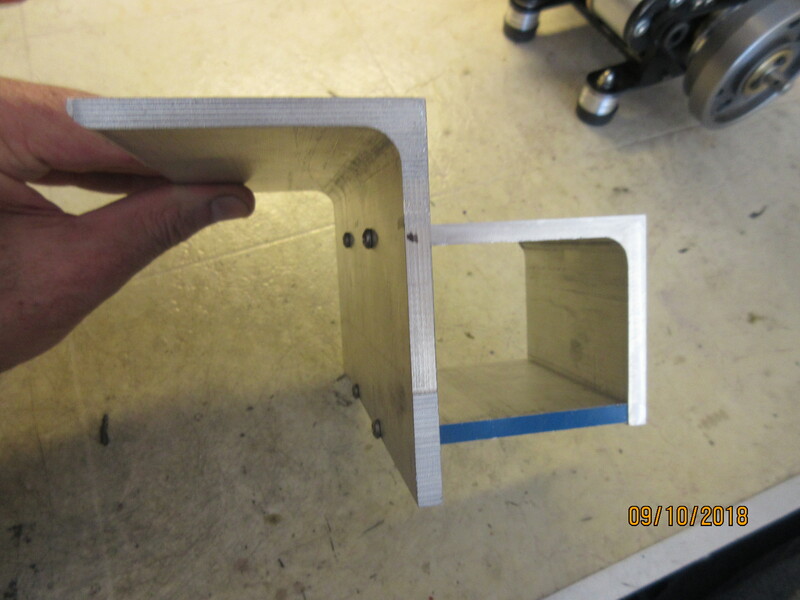 Aluminum angle stock, both 2x3 & 3x4 .250in. make up the framing with a floor plate joining the vertical legs. 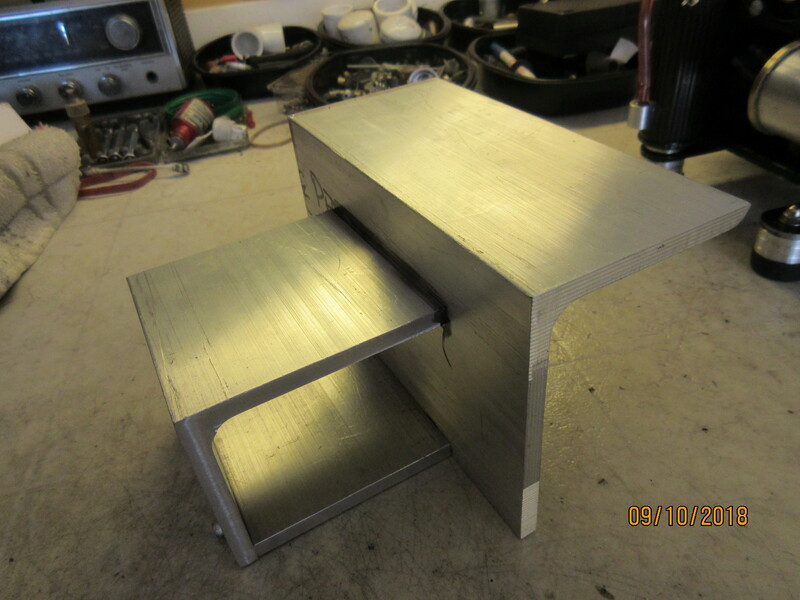 I may shorten the deck on the lower piece depending on components needed there like fuel tank, distributor, etc. We'll see how it goes. 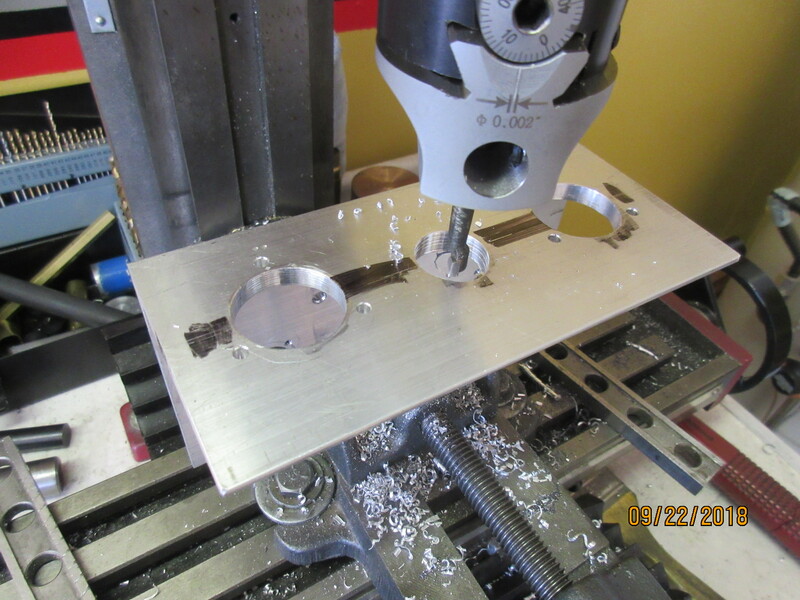 Be using SS #6 socket heads hold it square. So far...... ...... looks like a reasonable base to build upon! 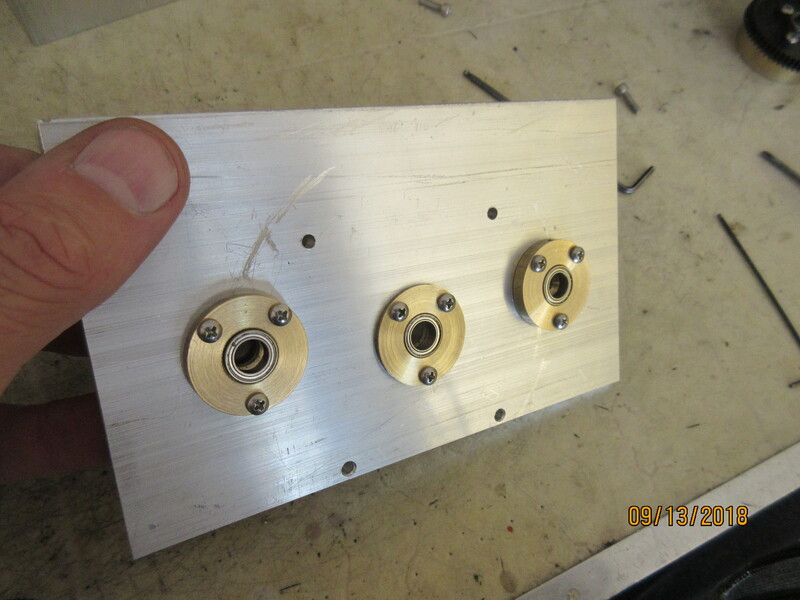 The vertical on the 3x4 angle gets a set of brass bearing carriers. A pair of R1810ZZ bearings in each one. After the boring, fastened on with some 4-40 SS screws. 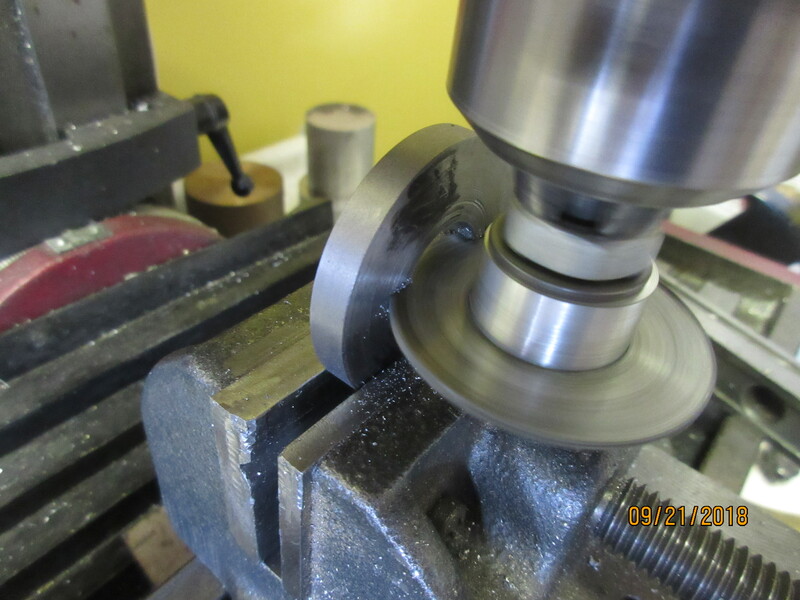 You see here that the center bearing is about a quarter inch lower. The engineering explanation is........is......... ah nobody cares! Looked like the right thing to do at the time I guess. All "geared" to proceed after the predetermined spacing of the bearing carriers in the previous post, I start with crank webs of 12L14 steel. 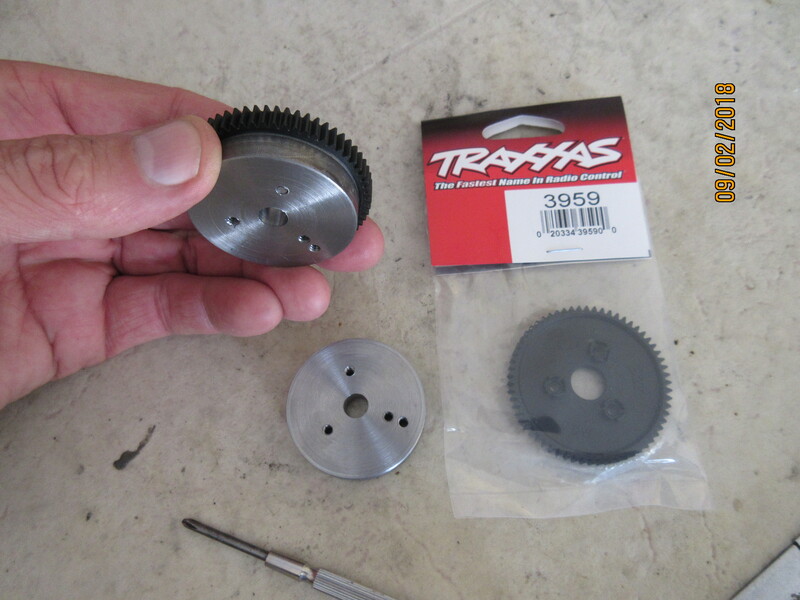 These Traxxas spur gears will be piggy backed to the webs. 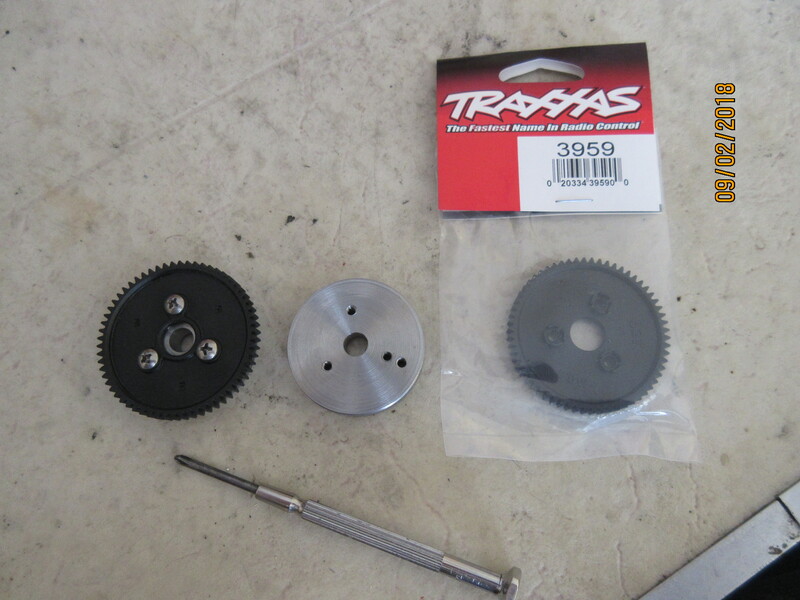 These Nylon gears strong and durable for R/C cars with high torque motors will suit the needs of SUPER TEE for starter drive input, possible spark advance kickback and usual low RPM running. 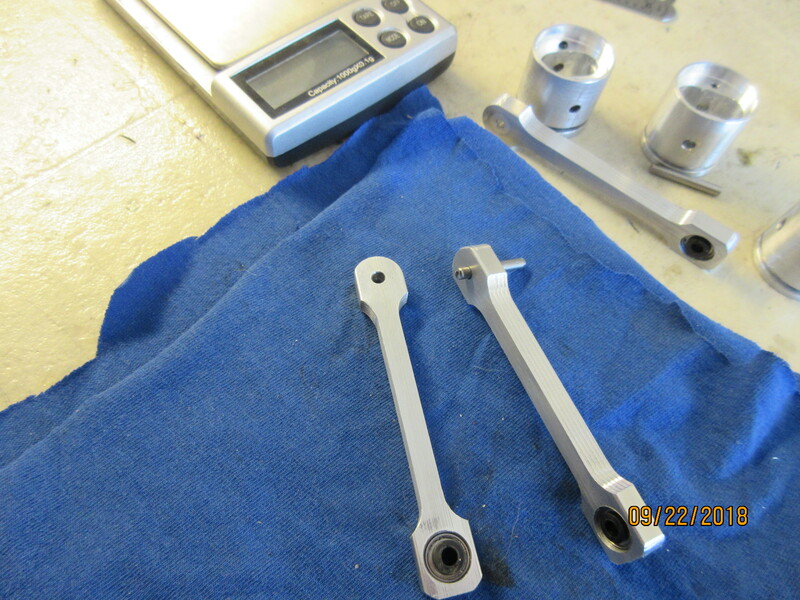 Three con rods were made from aluminum stock with a single R166ZZ bearing in the big end. Doing something different with the small end. 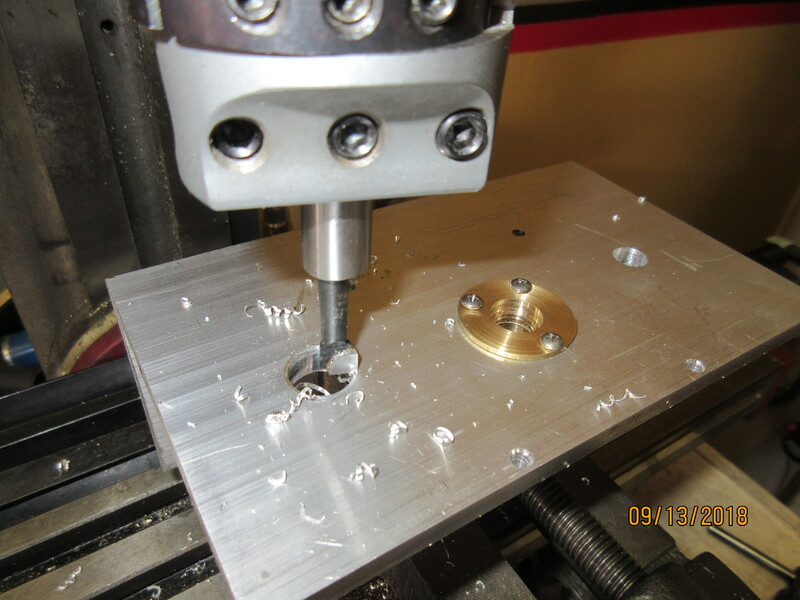 Drilled for a 1/8 in. piano wire pin direct into rod. Has worked well on the big end on a couple engines now. 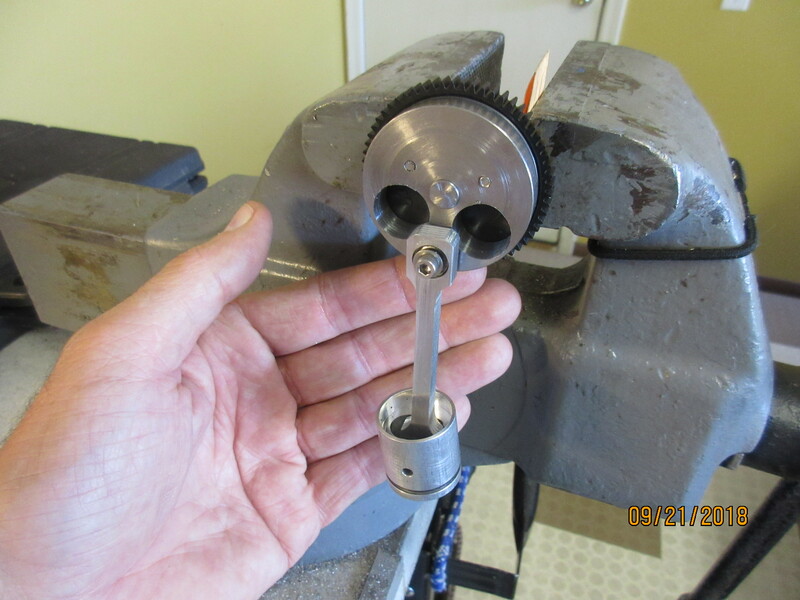 The rotating crank webs should sling enough oil under the pistons for lubing the pin. If not, then I retro fit some R144ZZ's in place. And I already muffed up .....one of the rods needs to be .250in. 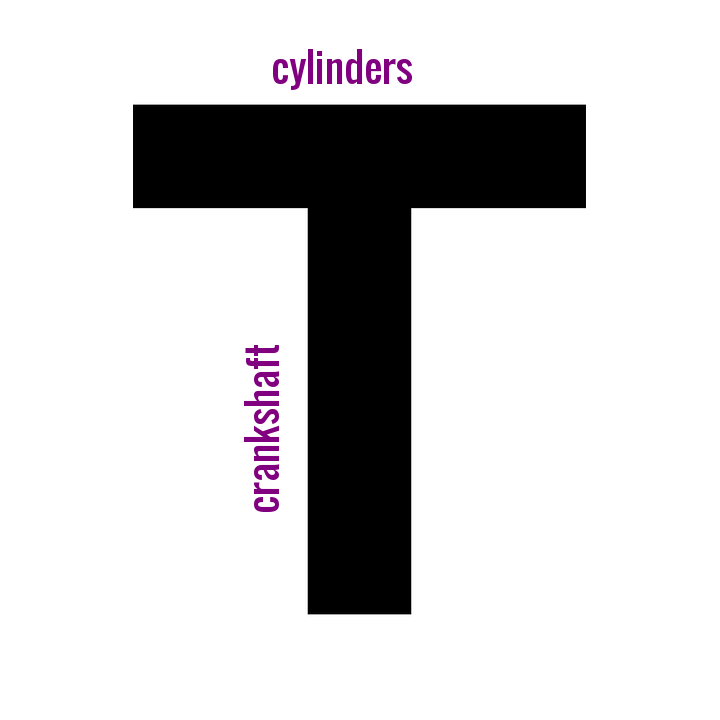 longer for the center cylinder. ( "pay attention Longboy"!) So now I got spare parts early in the project! SUPER TEE was conceived as a twin originally. 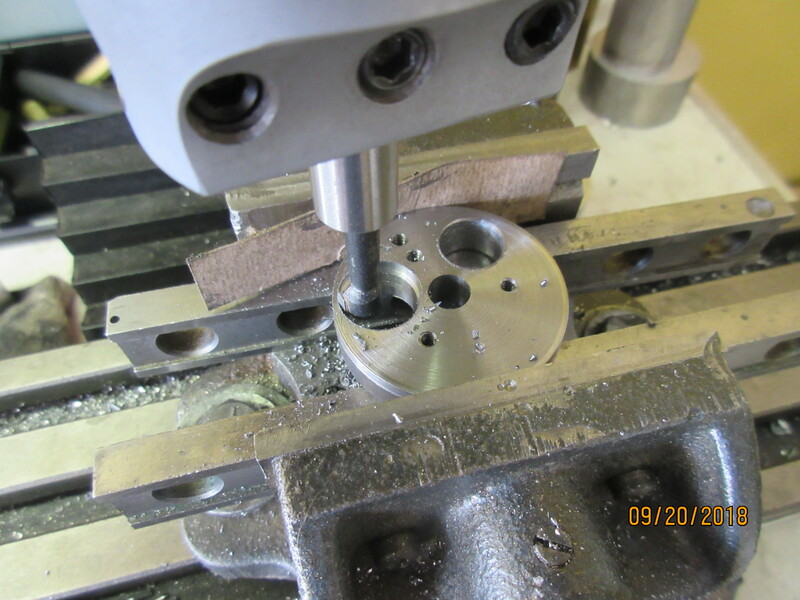 After finding the spur gears, the bore centerline spread allowed space for a third cylinder head between #1 and #2 over the crankshaft web and not crowd out the cylinder heads using a one inch bore, thin wall liner. Boring the deck for #3. Boring radiators for DOM liners. 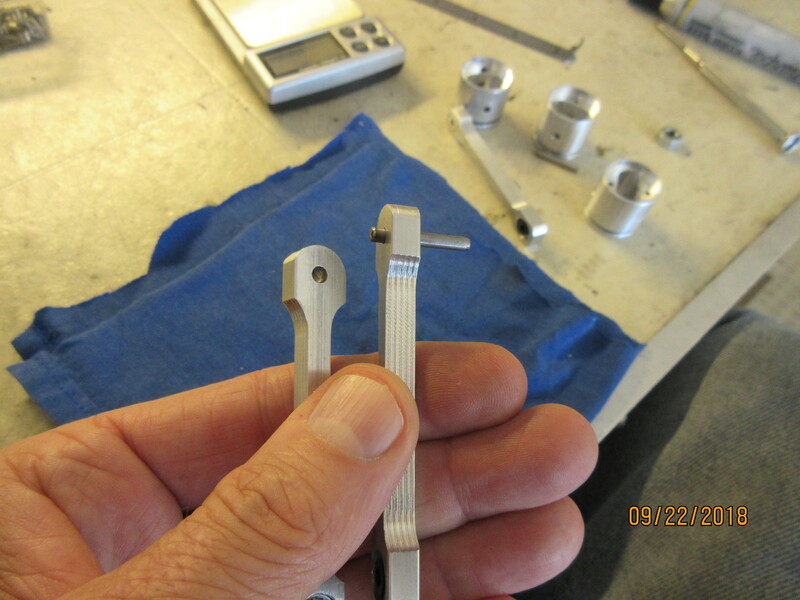 I prefer the crank webs to this style of weight reduction for the primary balance of the piston/rod assembly over pie shape cutouts adjacent to the throw pin. On SUPER TEE, the webs will be out front and prominent in rotational view. With the max. 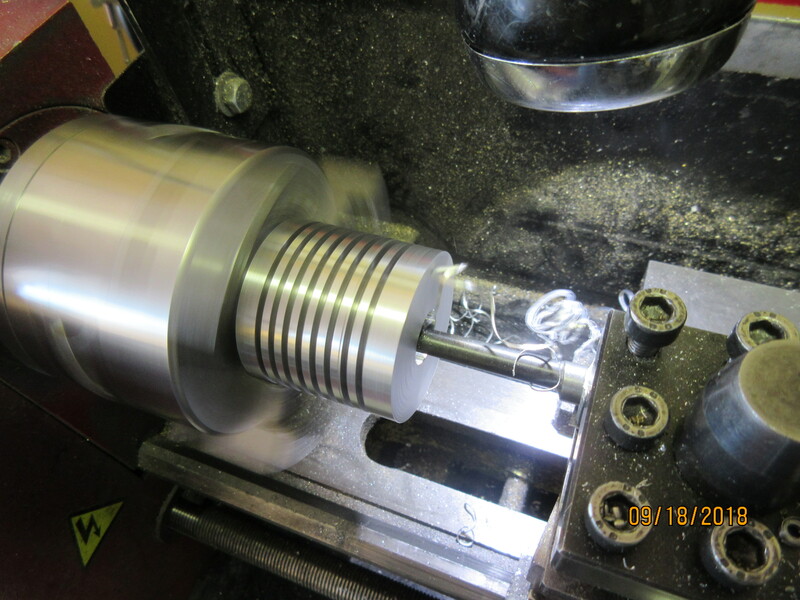 diameter bore thru, SUPER TEE is still short on its' testosterone and the piston/ rod hangs straight down. Shortening the piston shirt and removing metal from the beam helped some......but I needed more weight bias in the web. That solution begins here! Bad Behavior has blocked 14758 access attempts in the last 7 days.